Asia Infotech is a front running Ahmedabad-based firm offering top quality technical solutions to various companies in different parts of India. Their services are known for their flexibility, versatility and their ability to enhance the prospects of their customers within a competitive environment. Asia Infotech is also a major provider of mechanical design services whose services are sought after by numerous companies in this country. Asia Infotech is one of the most reputed organizations in India presenting companies in this country with superior quality technical services. Their support has helped numerous organizations operating within engineering industries to achieve major success in their ventures. While the firm has only been established in 2009, they have already made a strong client base of their own with their customer specific approach to their work. Asia Infotech is also a leading provider of mechanical design services in this country and their experienced support in this field is used by numerous industrial clients. The demands of a modern product development environment are far intense than ever before and they can only be met by efficient mechanical design and mechanical drafting services. It is for this reason various industrial clients rely on Asia Infotech for receiving the best services in this regard. The professionals at Asia Infotech have a flexible approach to problem solving and they can come up with new techniques to resolve the challenges that might emerge in product designing and HVAC designing. By using advanced mechanical 3D modeling and mechanical 2D drafting solutions, they can deliver their clients the best technical support that in turn helps them to achieve their design goals. 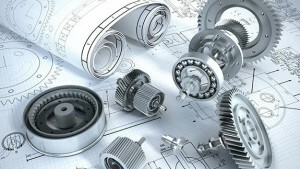 Asia Infotech is held to be a pioneering company when it comes to mechanical design and drafting solutions in India. Within a short time, they have established themselves as a leading provider of cutting edge solutions in this sphere that are capable of handling the challenges faced by modern day product development industry.